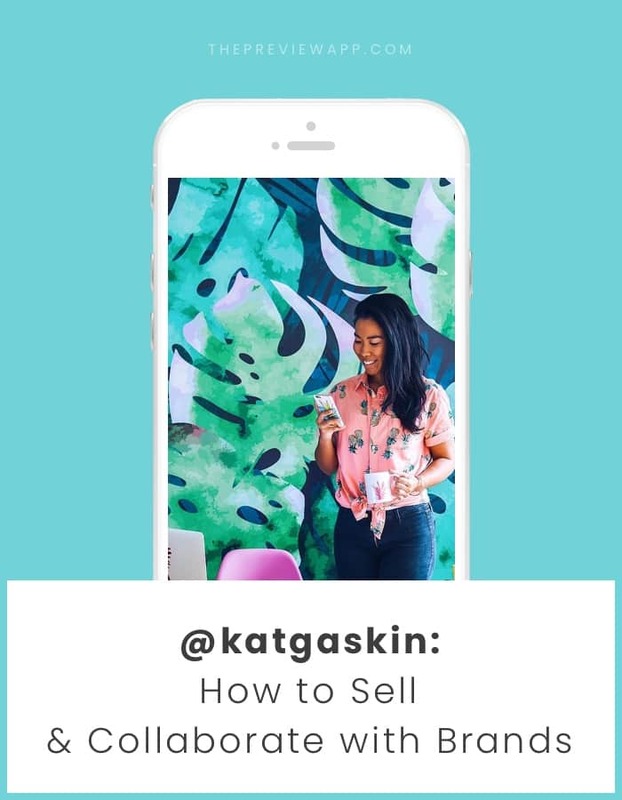 Behind The Feed with Kat Gaskin: How to Collaborate with Brands & Sell on Instagram? How to collaborate with brands on Instagram? How to use Instagram to sell? How to promote your shop using Instagram? 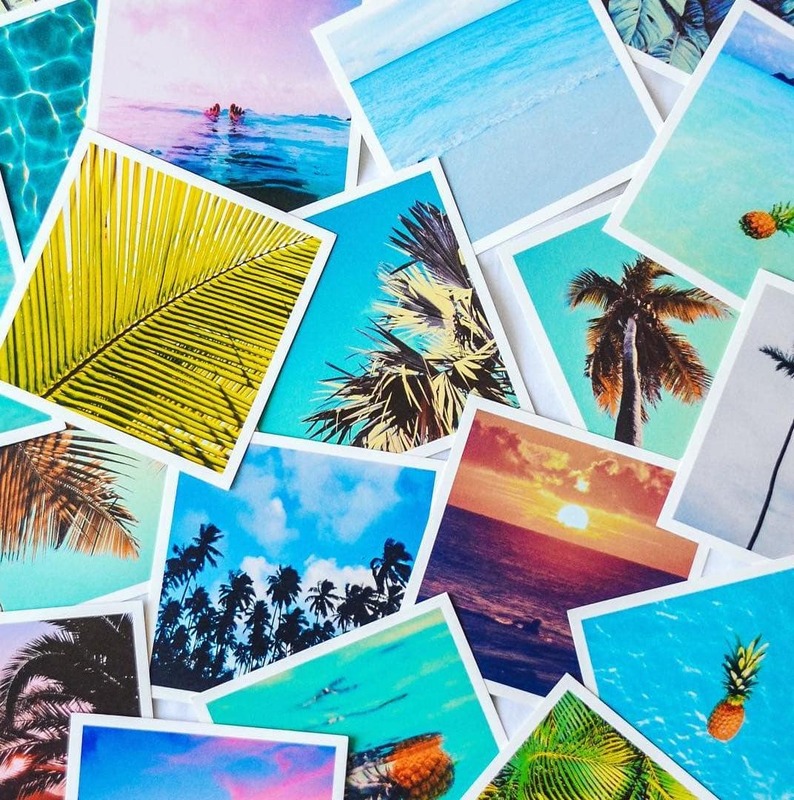 How to plan your Instagram feed like a pro? We are going to get into details in this interview. 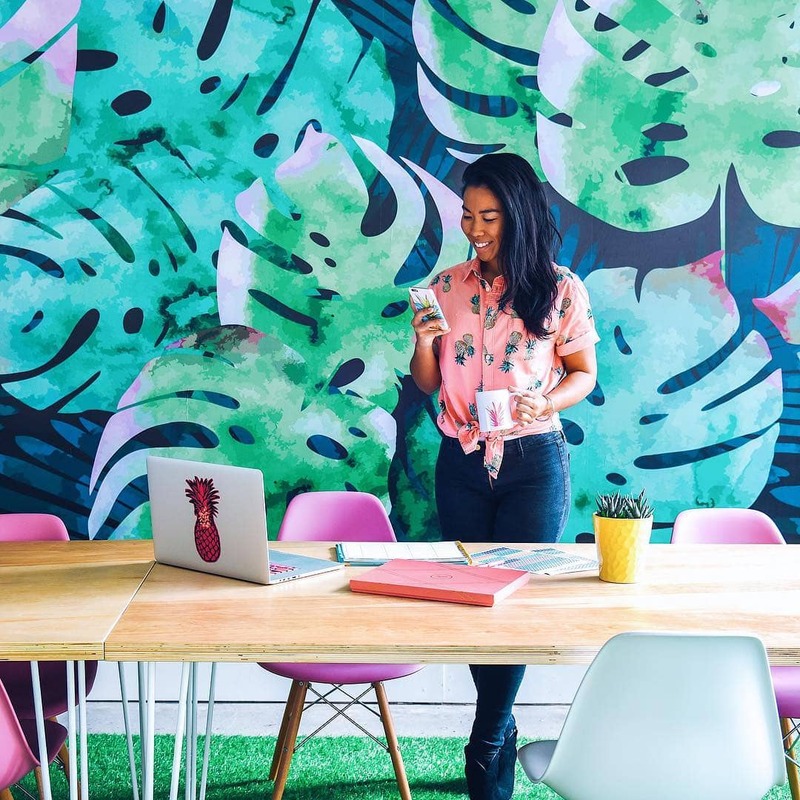 Meet Kat Gaskin, the solopreneur behind the Salty Pineapple shop and the famous Content Planner. 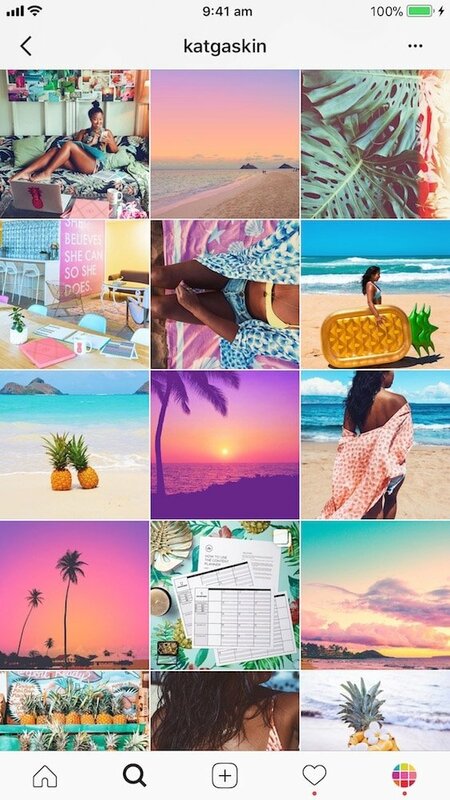 She has over 50,000 followers on Instagram, is brightening EVERYONE’S feed with her tropical photos and collaborates with her dream brands on Instagram. Kat is using Instagram to grow her brand and businesses. She is going to tell you exactly how she manages her Instagram to collaborate with brands and promote both of her shops. Ready? Let’s get right into it. If you are new: Welcome! Behind the Feed is an interview series featuring amazing Preview app users. We are a community of over 400,000 Instagram lovers. We’re here to share our story and tips. Enjoy! Hello Kat! Can you please introduce yourself and tell everyone what you do? Hi hi! My name is Kat Gaskin (@katgaskin) and by trade I’m a graphic designer turned content creator and solopreneur. 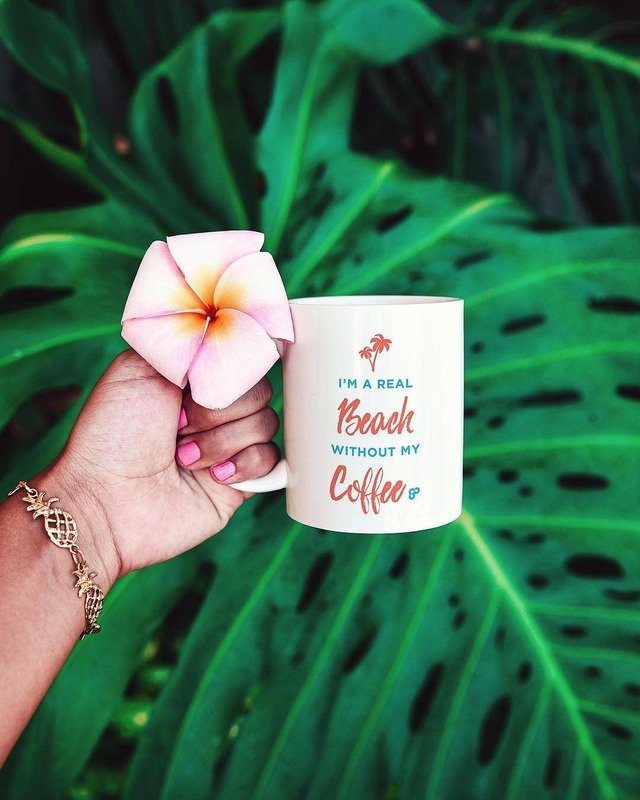 I live a laptop lifestyle and run 2 eCommerce businesses while feeding my tropical wanderlust. I’m 100% self-employed and never want to retire. If you could describe your Instagram feed using one word, what would it be? Can you tell us how you plan your feed step-by-step? Absolutely! My Instagram feed is EVERYTHING. I run 3 very different accounts, which all generate income for me. My posts always have a strategy. The one thing that remains the same for my accounts is that I only post what I like. If I don’t feel completely excited about sharing the photo, I simply don’t. That’s my indicator for whether or not it will fit in my feed. In terms of a content plan, I’m SO glad you asked! As a planner addict, content creator and online business owner, planning my content is an absolute MUST. First and foremost, I write everything down in The Content Planner, a physical planner for your blog and social media content. I prefer to see my entire month at-a-glance to easily fill in my days. I alternate between different types of content and captions (Ex. Quote, storytelling, generating comments, motivational, giveaway, promotional, a photo of me…). This way, I’m maximizing my online growth by hitting on all aspects of content marketing. In The Content Planner, I write down short caption themes for when I need to share something on set date (Ex. Post loop giveaway at 2pm ET). I have a notes on my iPhone (Android users can user Evernote) called ‘Captions’ and each account has its own note. I can access these notes from both my laptop and phone, so whenever a thought, idea or quote comes my way, I immediately write it down. In the note, there are 2 sections called ‘To Post’ and ‘Posted’. ‘To Post’ has a list of captions that I’ve written ahead of time. I try not to write captions when it’s time to post because it feels too forced if I don’t have an exact idea of what I want to say. Once I share the caption on Instagram, I move it to the ‘Posted’ section. PS: You can prepare your caption ahead of time in Preview app too. In The Content Planner, I schedule time for content creation according to my business needs. For example, I know I’ll need promotional product and lifestyle photos about a month before a new collection launch. I shoot and edit a bunch of photos all at once at least every 2 weeks. If I’m travelling, I shoot as much as possible to build a photo library for when I’m back home in Toronto. I also spend about an hour each week gathering photos to repost. I screenshot, then put them into a folder on my phone called ‘To Post’. Each account has its own ‘To Post’ folder on Dropbox and my phone. Once I edit a batch of photos, I’ll transfer them from my laptop to my phone using Airdrop and file them into their respective ‘To Post’ folder. After I post the photo, I remove it from the ‘To Post’ folder so I know how many photos I have left to post. When I can see the image count getting low, it’s time to create new content. How far in advance do you schedule your feed? I don’t schedule my feed through an app because I like to keep things fairly flexible. Life happens, creativity strikes unexpectedly or a last-minute collab can pop up. My content plan is a guide that I constantly tweak, sometimes even months ahead of time. Instead of a set schedule, I have a feed structure I like to stick to where I alternate between types of content that achieve different goals (increase likes, generate comments, click a link, gain followers, etc.). What have been the 3 most important things you’ve done to grow your account? Tracking my progress by writing down how many followers I’ve gained each week. This helps me stay motivated to keep going. Even gaining 1 follower is something to celebrate! Posting every single day. Nothing beats consistency and hard work. Responding back to all of my comments. Building a dedicated community is what will set you apart on Instagram. You could have 100,000 followers, but if you only receive 500 likes and 20 comments, the people who follow you could care less about what you have to say. Let’s talk business. How long have you been on Instagram? Since 2013, but I didn’t start putting an effort into growing my account until 2014. How many followers did you have when you did your first brand collaboration? Who was your first? I had about 1,300 followers when I did my first collab. 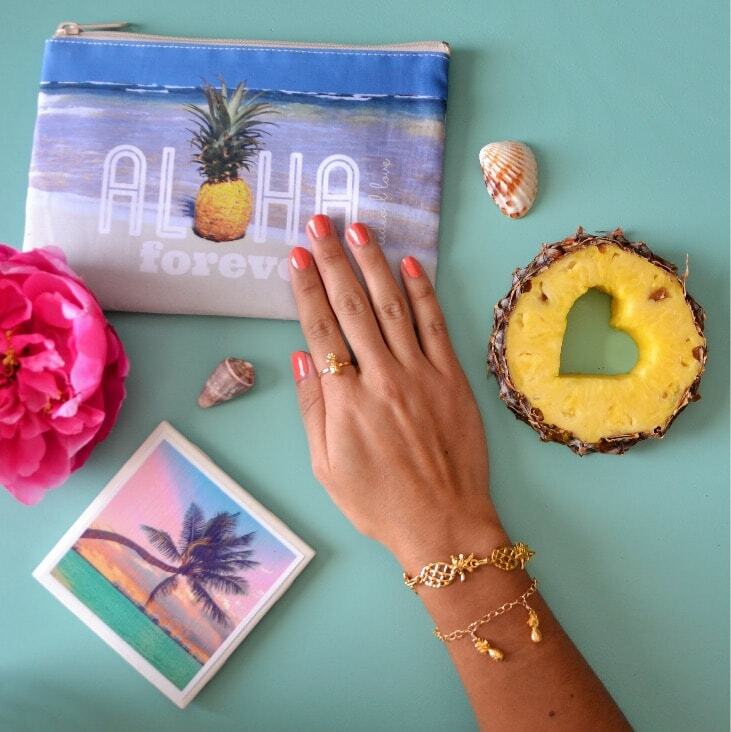 It was with an incredible jewelry brand from Oahu, Tidepool Love. I’m now very good friends with Jen (the owner and designer) and still wear and promote her pieces 4 years later. How do you reach out to brands to collaborate? I always make a ‘hitlist’ ahead of time of about 20 brands and accounts I want to collaborate with. I write this list down in The Content Planner because there’s a specific ‘Hitlist’ section prior to each month. When I’ve contacted them, I make note so I can follow up later. Either I slide in the DMs, send a quick email or both! I always include a specific detail about their brand, give a compliment and end the message with a question like, ‘Do you ever work with influencers to promote *insert product/business name here*?’. I keep it short. This way, they HAVE to answer. Then in my response, I go in for the kill and ask if they want to collab. Don’t just paste a boring template that has no personality. Spend a few minutes customizing the message and you’ll triple your chances of receiving a response. Remember the 80/20 rule = 80% probably won’t respond and about 20% will. You’ll hear ‘No’ more than ‘Yes’, but the ones who do say ‘Yes’ will most likely be happy to work together. Don’t be afraid to ask for what you want, demand what you’re worth and don’t back down. I know you’re a true boss babe and Instagram has played a big part in growing your businesses. From your experience, do you think people need a lot of followers to convert / make sales on Instagram? In fact, last year The Content Planner account only had 3,000 followers. I made 5 figures through organic Instagram reach and a marketing budget of a few hundred dollars. The key is to be VERY specific with who you want to target. For example, if you’re a blogger don’t just target people who like blogging. Narrow down your audience to female travel bloggers ages 18-24 who travel on a budget to South East Asia with only their backpack. You’ll be much more successful in sales if you know EXACTLY who you’re selling to. 3 things you did that worked for you to make sales through Instagram? High-quality lifestyle photography. Use a DSLR if you can and shoot in natural light. Use targeted hashtag groups to get in front of your ideal customer. Let’s finish with some tips. What are 3 tips you would give to someone right now who wish to start selling physical products on Instagram? Make sure your website is VERY mobile-friendly. You’ll be driving tons of great traffic towards your site, but you won’t convert any of your followers if they can’t quickly and easily purchase your products. Include short videos of your product on your feed. The video trend on Instagram is huge right now. Videos are great for engagement and showcasing your product. Be patient. Success takes time. Instagram is powerful. It’s an effective way to grow your brand, connect with your exact customer and make sales. It’s also completely FREE. If you have a business or brand, you can’t afford not to be on Instagram. Furthermore, your account needs a strategy, so get planning. Plan your content, post it to Instagram and see the profits roll in! I really hope you found this interview useful and that it gave you even more motivation and inspiration to boost your shop on Instagram. If you want more Instagram tips for your business, click here. Thank you Kat for taking us behind your feed! Say hello to Kat on Instagram @katgaskin. Check out the Content Planner (Instagram and website) and Salty Pineapple Shop (Instagram and website).